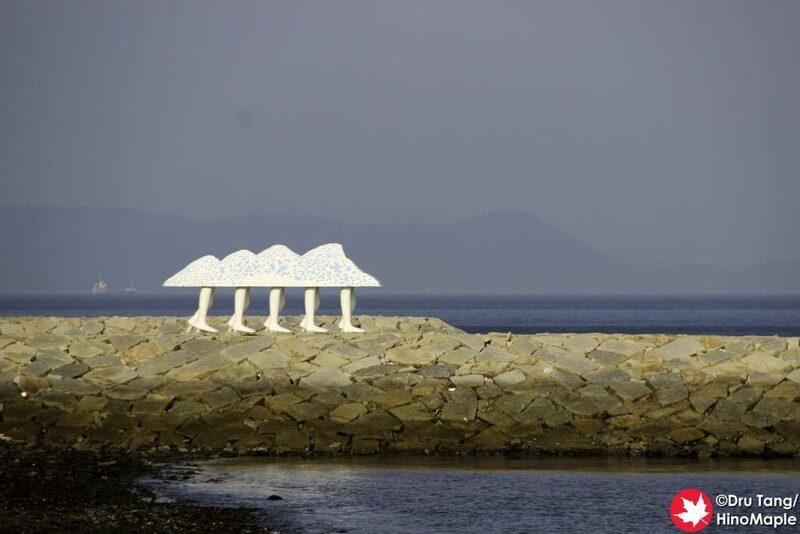 Walking Ark by Keisuke Yamaguchi is a permanent public art located a short walk from the Ogi Fishing Port Area. It is a pretty simple art piece that a lot of people love but I have yet to really love it. I find it to be a playful artwork but nothing that speaks to me and it feels a bit strange overall. 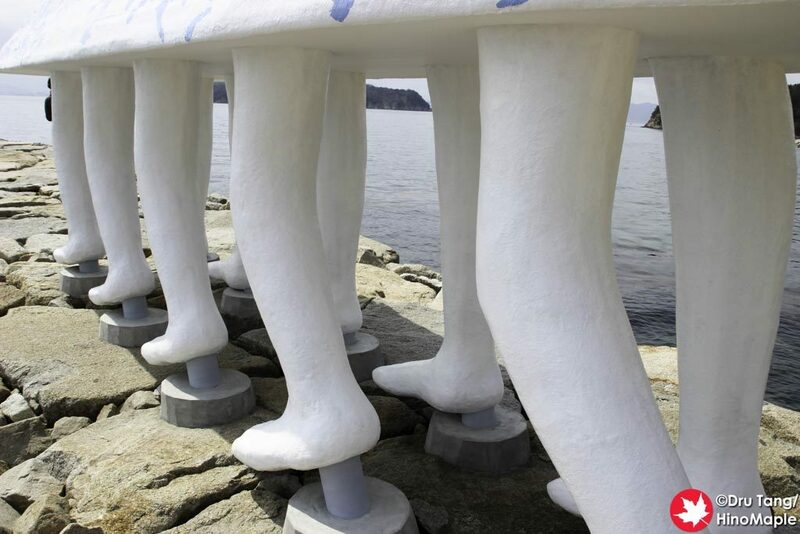 The artwork is a just 5 sets of legs with what I would call a white and blue mushroom cap connecting all of them. 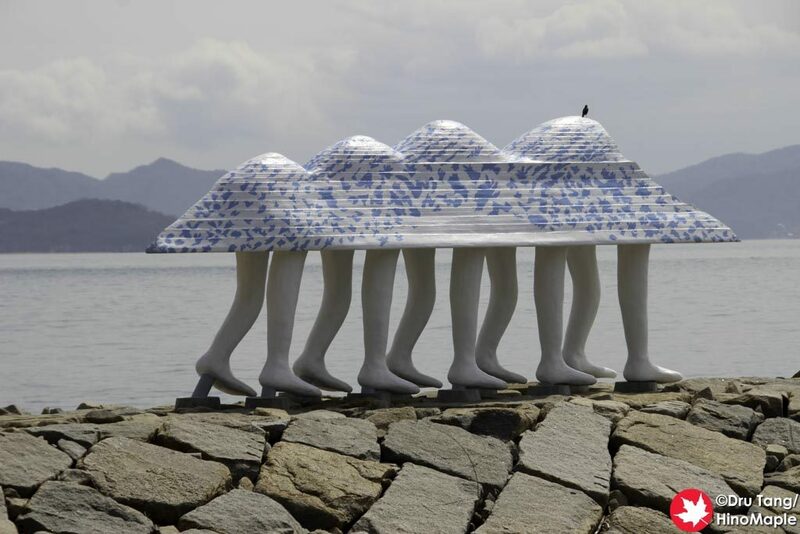 The legs are walking forward along a water break as if they are walking into the sea. It is fun to take photos with it but it isn’t as much fun as Yayoi Kusama’s pumpkin series. The only fun part is that you can hide behind different legs and stick your head out from behind them for a fun photo. In 2013 I went all the way up to Walking Ark and did enjoy the views. 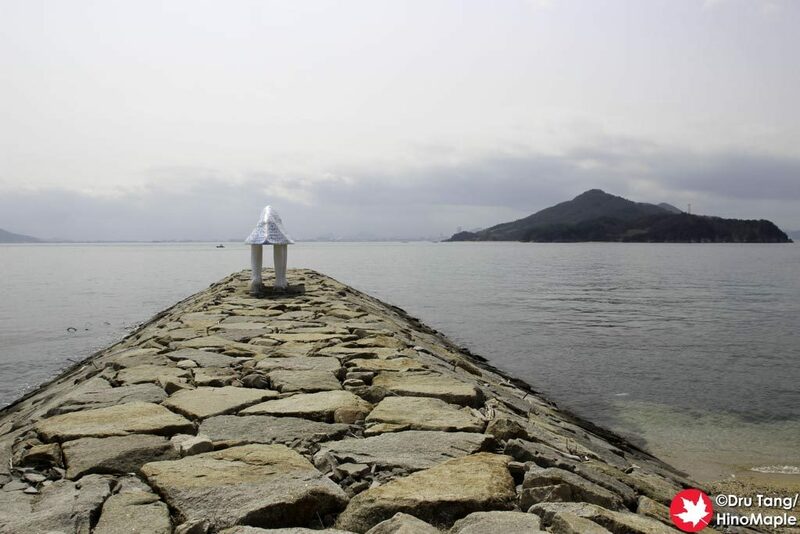 I would say a walk out there is worthwhile if you want to enjoy the views of Takamatsu and the surrounding islands of the area. 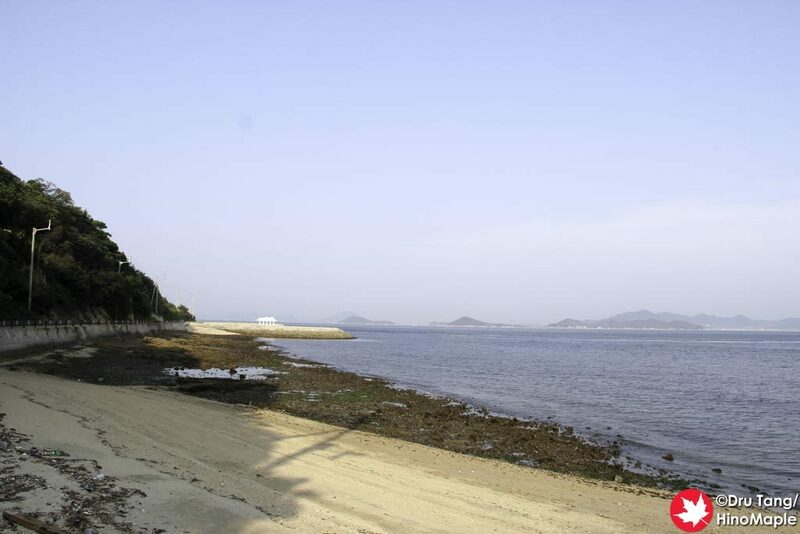 If you are lazy, enjoying it from the fishing port is good enough, especially if you have a good zoom lens. 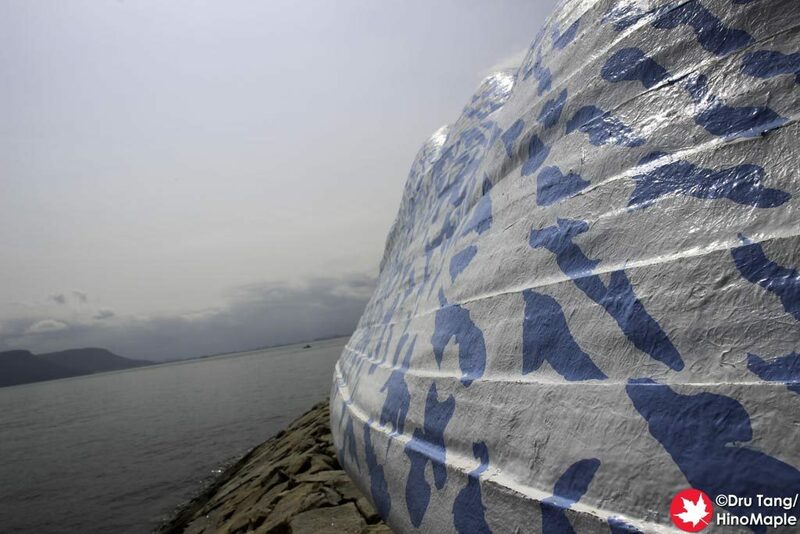 I have heard that the best views are if you pass Walking Ark and enjoy it from the far side looking back at the Fishing Port. I guess I have something to do when I come back in 2019. 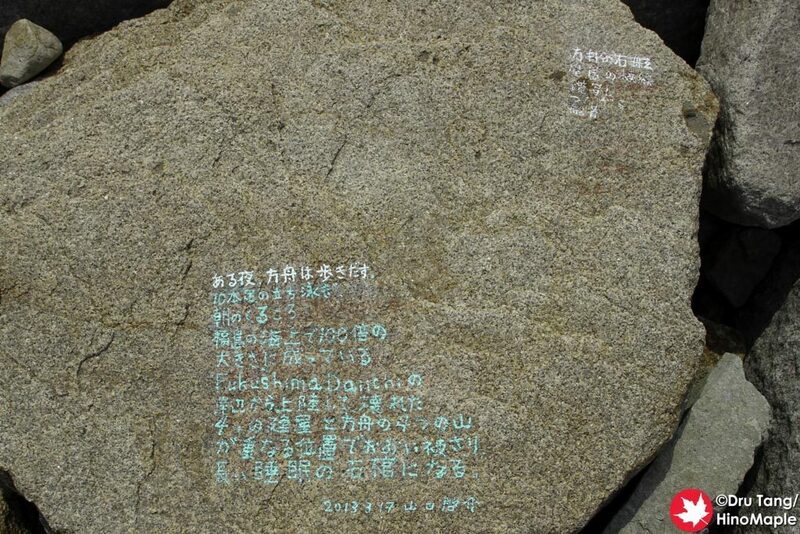 Inscription on a rock next to Walking Ark by Keisuke Yamaguchi. 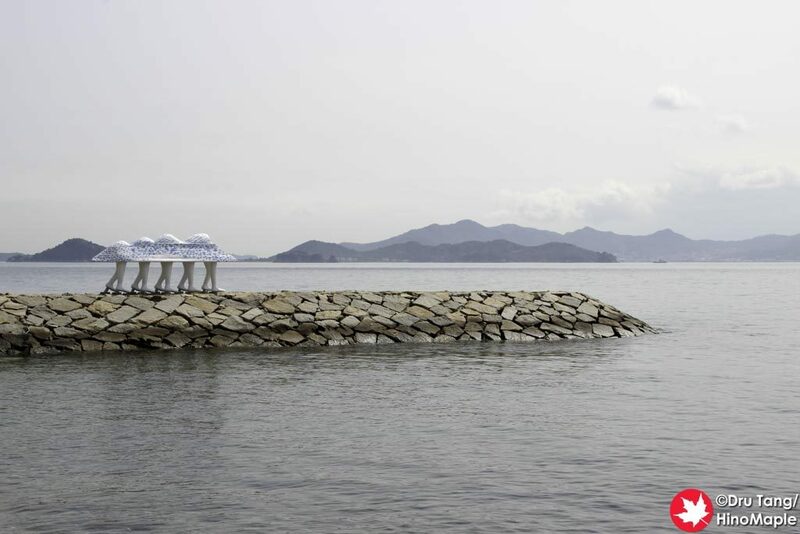 This entry was posted in Setouchi Triennale and tagged japan, Kagawa, Keisuke Yamaguchi, Ogijima, Setouchi Triennale, Takamatsu, Walking Ark by Dru. Bookmark the permalink. It literally took me years (from 2013 to 2017) to learn how to like this works. Then, one day, it hit me. I’d usually walk towards it without paying much attention to it until I’m quite close, but what I didn’t realize is that it was already too late. I never really tried to do it that way. I’ll make a note and when I visit it again next year (hopefully), I’ll make sure I keep an eye on it as I walk towards it. Thanks for the tip!